Classic gamers who missed out on scoring one of Nintendo’s mini-Classic console systems before the company discontinued the limited-time product last year will have another chance to score a mini-video system later this year, if they like Super Nintendo, that is. Nintendo announced today that it will launched a mini-SNES classic system on Sept. 29. 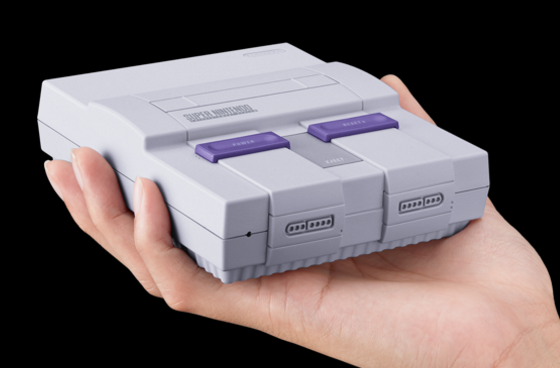 The Super NES Classic Edition system has the original look and feel of the ‘90s home console, just in miniature. The game system, which will sell for $79.99, will come with two controllers and loaded with 21 games, including the never released Star Fox 2. While you might have to wait a few more months before getting your hands on the mini-SNES, if or when you do, it won’t be yellow. Launching a SNES mini appears to be Nintendo’s attempt to build on the runaway popularity of the NES console that quickly sold out after its launch. Potential customers were no-doubt disappointed when Nintendo announced that it was discontinuing the system, noting that it was never meant to be a permanent product.